How Does Medical Micro Needling Work? Medical micro needling triggers the natural wound healing response of the cells in the dermis to self-repair and regenerate. This response increases the natural production of collagen and the regeneration of new skin cells. This natural action takes place in the dermis and can take 4-6 weeks before the effects are visible on the surface. Clinical study’s has seen skin pigmentation and wrinkles been reduced, skin lifting and tone is improved. Medical micro needling restores aged skin, much like during laser resurfacing or peeling, and there are almost no downtime or side effects but instead increased skin thickness by approximately 8%, making it the ideal anti-aging skincare solution of the next generation. Our micro-needling pen uses 9 precisely spaced very fine needles to injure the skin sufficiently enough to stimulate collagen/elastin production. With the Rejuvapen rather than the roller we can change the depth of the needle mid treatment. This means we can go deeper wherever we need to such as on Acne scars or fine lines. This also allows us to do spot treatments! Resulting micro-channels also aid in infusing clinicare cosmeceuticals for greater penetration and increasing overall efficacy. Many clinical studies have proven that serum absorption is increased by as much as 1,000 times when applied with micro needling. 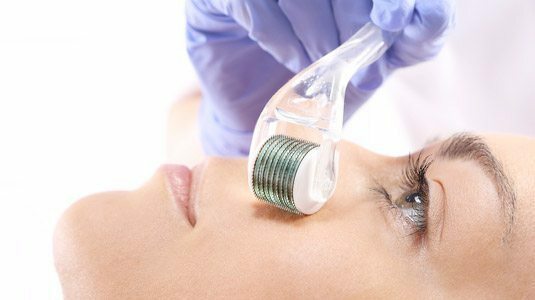 Clinical studies have also shown that micro needling treatments are more consistent in increasing the thickness of the skin than IPL and other resurfacing treatments. Microneedling is effective. In fact, at least just as effective as lasers, IPL, Thermage and other ‘machine based’ treatments, but at a fraction of the cost to patients and clinics. Please call for special offers.